Dave Maass filed this request with the Duluth Police Department of Duluth, MN. Thank you for contacting the Duluth Police Department. This e-mail address is not monitored 24 hours a day. If this is an emergency, you need to have an officer respond to your location, or if you need to file a police report of any kind, please call 911. If you need a copy of a police report, please contact our records division at policerecords@duluthmn.gov<mailto:policerecords@duluthmn.gov> or call 218-730-5590. I wanted to follow up on the following Minnesota Data Practices Act request, copied below, and originally submitted on Feb. 13, 2018. Please let me know when I can expect to receive a response, or if further clarification is needed. I am writing to acknowledge receipt of your data request of February 13, 2018 regarding 2018 Vigilant Data Sharing Information. Throughout your request, you reference the LEARN system and provide instructions on how to extract the data that you seek. I also write to inform you that our department does not utilize the LEARN system, although we currently utilize a single License Plate Reader. 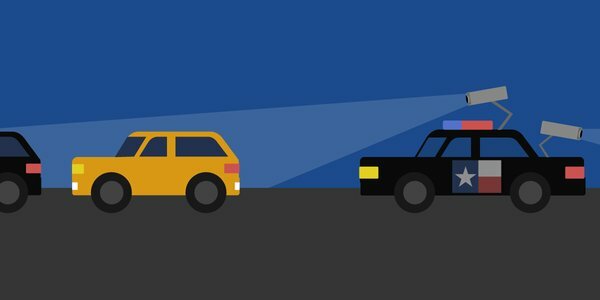 Under Minnesota law, some ALPR data are classified as public. We can provide you with the data that are classified as public under Minnesota law, if you are interested in such data. In response to your inquiry regarding fees, our current fee schedule allows 25 cents a page for the first 100 pages of black and white paper copies. For copies of other data (e.g., more than 100 paper copies , electronic data, etc.) we charge the actual cost per hour (not to exceed $25/hour) per employee to search for and retrieve the data, and to make copies of the data. Please let us know how you would like to proceed with this request. This is very odd, since records we have obtained from other agencies show they are sharing with Duluth through LEARN. Sometimes we have found that some agencies are unaware that a component has set up a LEARN account. I would encourage taking a second look for the records. If you do not have LEARN, then I do need irrelevant records. However, in a more general sense, this may be a substantial cybersecurity issue for your IT team to inspect.